Have you ever embarked on a studio session, got deep into drum design and lost hours on a single loop? This happens to all of us at some point. If the loop works well it can be very rewarding but there are times when it doesn’t. If things don’t go as planned and you are on a time limit, your creative hours can be lost on one sound. Today we offer a solution to this common artistic setback. 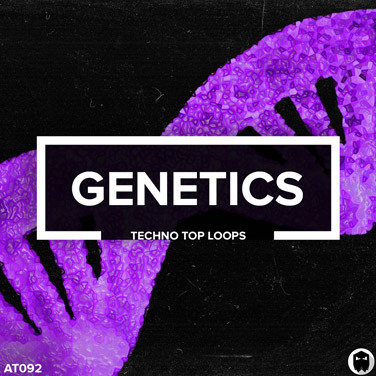 Introducing Genetics, 107 Techno top loops. Genetics will fit effortlessly into your latest project, bringing fresh ideas and a huge selection of new timbres to use. Spend less time stuck in a loop and more time working a groove. Inside the download you will receive 107 Techno top loop samples at 124 bpm. All recorded at 44.1kHz 24 bit WAV.